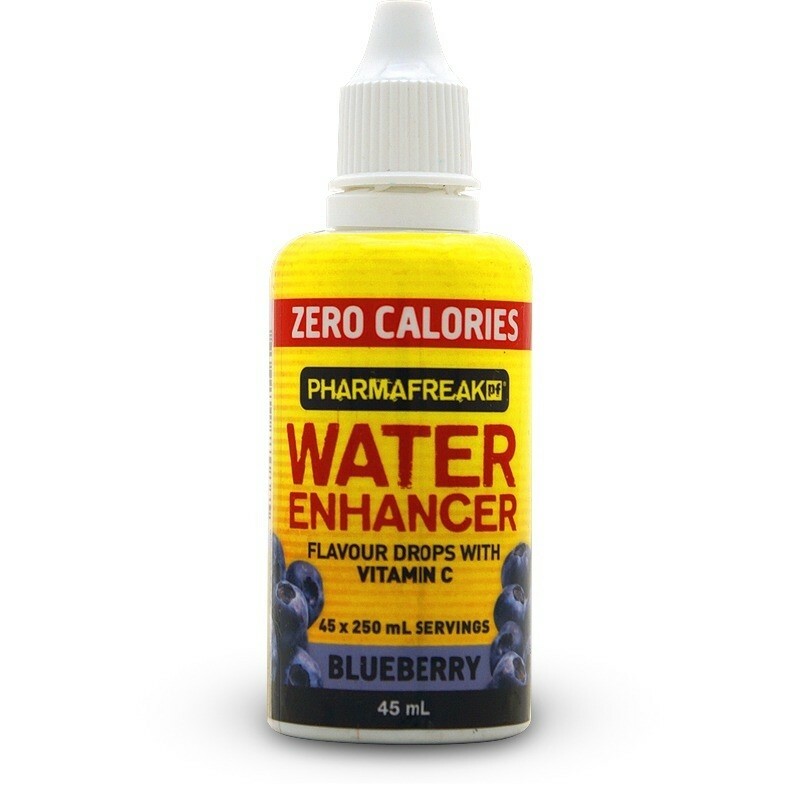 PharmaFreak Water Enhancers are flavoured drops to make a delicious drink from plain water so you stay well hydrated. The National Academy of Medicine (NAM) recommends that thirst be your guide in the amount of water you drink per day. They have set approximations of 3.7 litres for the average adult male and 2.7 for females. These numbers do include water from food. Note that the guides are individual specific and do not account for other factors such as activity level, geographical location, etc. Getting enough water each day is vital for proper bodily functions. Drinking the recommended amount of water can be challenging, however PharmaFreak Water Enhancers have a range of sugar-free flavours to make plain water a delicious drink. Water, Citric Acid, Malic Acid, Ascorbic Acid, Sodium Citrate, Sucralose, Acesulfame K, Flavour, Colour E133, Potassium Sorbate, Sodium Benzoate. • The general recommendation is 10 drops per 100 ml. • However the amount you use is dependent on your individual taste preference.